We offer advice on how to organise a group ski holiday for a large group - something which is quite an undertaking and a task that often goes unthanked. However, we are here to help and will guide party leaders through every step of the booking process from initial enquiry right through to your day of departure. Although your holiday company will be looking after you whilst you are in resort we are always available for help at any time. Our after sales care is very professional and helpful and we are here to help you resolve any niggles you may have experienced whilst on holiday. As a party leader and client of Alpine Answers you will always have our support and backing. Before you call us you might like to browse through the chalets and hotels that we can offer your group. This will give you a great head start on your search and will help formulate ideas. 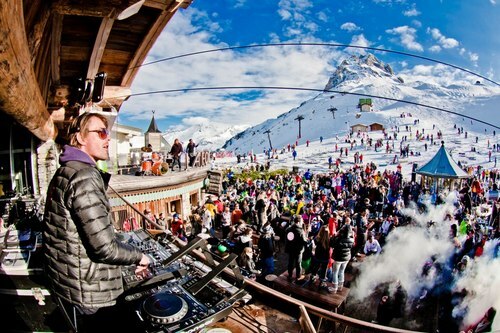 So, if you have drawn the short straw this year, or if it’s simply your turn, here are some top tips and advice to help you organise a group ski holiday and become the perfect ski holiday party leader. Don't call the Ghostbusters but instead telephone Alpine Answers, immediately! We have 25+ years of experience in helping party leaders find the best chalets and hotels for their groups. Collectively your group will be spending a fair amount of money on your booking so check that your group’s holiday funds are safe. It’s reassuring to know that we are ABTA bonded which means your money is protected whilst in our account. The chalets we sell are also financially protected which means that once your money has been passed on to your chalet holiday company it is also protected. Set up a WhatsApp group so that you can easily communicate with your group. Some party leaders will go as far as creating a dedicated website for their group’s ski holiday. Whereas building your own website may not be necessary good communication with your group is vital. When you are gathering people to join your group set a departure week early in the process and ask all members of your group for a non refundable deposit (a meaningful amount) which will commit people to joining your party. There is nothing more annoying for a party leader than having people say they want to join your party only to have them drop out when it comes to make the holiday booking. At the same time get everyone’s first and last names as they appear on their passport (middle names are not necessary and will only add to confusion when booking flight seats). Also ask for dates of birth and any dietary requirements that group members may have. Bear in mind that special diets will usually be charged extra at approximately £40 per person for the week. When we have found you some great chalets for your party there are two options you can take. Either, make a unilateral decision on behalf of your group and present them with just one option as a ‘fait accompli’ (this is recommended), or present them with two or three options and hold a vote to find a common consensus. Be warned however - the latter option may well open a can of worms meaning you will need all your powers of diplomacy to keep the group together and to make a collected decision on which chalet to book. When presenting the holiday costs to your group it is advisable to add a small contingency amount over and above the actual holiday cost, say £50 per person. This is not so that you can make a fast buck! This contingency amount will cover any unforeseen holiday booking expenses. Tour operators will charge admin fees for last minute name changes and a drop out from your group at a later date may well reduce your group discount or create an empty bed supplement. Having a contingency fund will make handling these extra costs much easier than having to go back to your group with cap in hand. If you have all, or some, of your contingency fund left at the time of your holiday you can refund your party members which will give them some unexpected and much appreciated pocket money.